As the White House prepares to unveil a sweeping plan aimed at curbing gun violence, the National Rifle Association has launched a preemptive, personal attack on President Obama, calling him an “elitist hypocrite” who, the group claims, is putting American children at risk. In 35-second video posted online Tuesday night, the NRA criticizes Obama for accepting armed Secret Service protection for his daughters, Sasha and Malia, at their private Washington, D.C., school while questioning the placement of similar security at other schools. “Are the president’s kids more important than yours? Then why is he skeptical about putting armed security in our schools, when his kids are protected by armed guards at their school?” the narrator says. The immediate family members of U.S. presidents – generally considered potential targets – have long received Secret Service protection. The ad appeared on a new website for a NRA advocacy campaign – “NRA Stand and Fight” — that the gun-rights group appears poised to launch in response to Obama’s package of gun control proposals that will be announced today. It’s unclear whether the video will air on TV or only on the web. The NRA did not respond to ABC News’ request for comment. The domain for the website is registered to Ackerman McQueen, the NRA’s long-standing public relations firm. The White House had no comment on the NRA ad. In the wake of last month’s mass shooting at Sandy Hook Elementary School, the Obama administration has met with a cross-section of advocacy groups on all sides of the gun debate to formulate new policy proposals. The NRA, which met with Vice President Joe Biden last week, has opposed any new legislative gun restrictions, including expanded background checks and limits on the sale of assault-style weapons, instead calling for armed guards at all American schools. Still, the White House has been considering a call for increased funding for police officers at public schools and the proposal could be part of a broader Obama gun policy package. Fifty-five percent of Americans in the latest ABC News/Washington Post poll say they support adding armed guards at schools across the country. “The issue is, are there some sensible steps that we can take to make sure that somebody like the individual in Newtown can’t walk into a school and gun down a bunch of children in a shockingly rapid fashion. 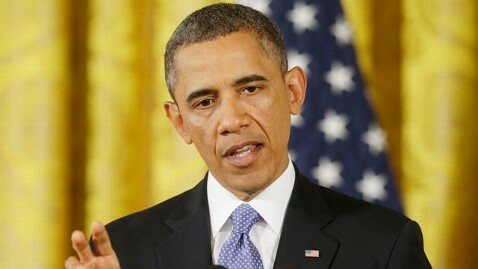 And surely, we can do something about that,” Obama said at a news conference on Monday. “Responsible gun owners, people who have a gun for protection, for hunting, for sportsmanship, they don’t have anything to worry about,” he said. ABC News’ Mary Bruce and Jay Shaylor contributed reporting.